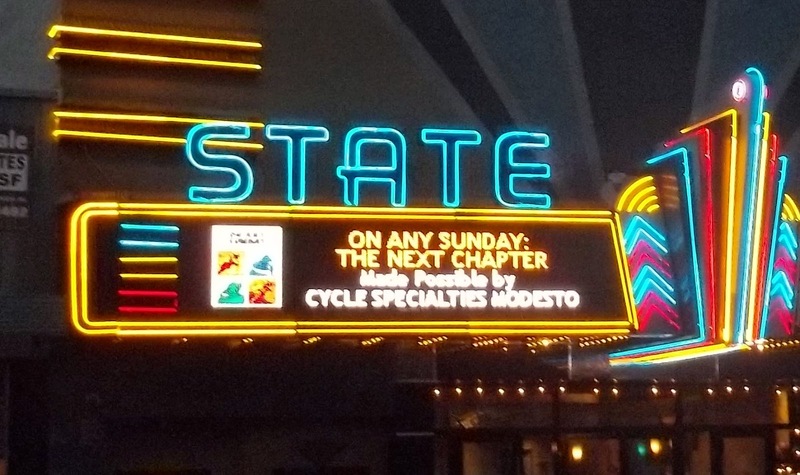 Last week, I attended the one time showing of the movie at The State Theatre, a 500-seat venue, in Modesto, California on behalf of the BlueRibbon Coalition (BRC), a national trail-based non-profit recreation group. 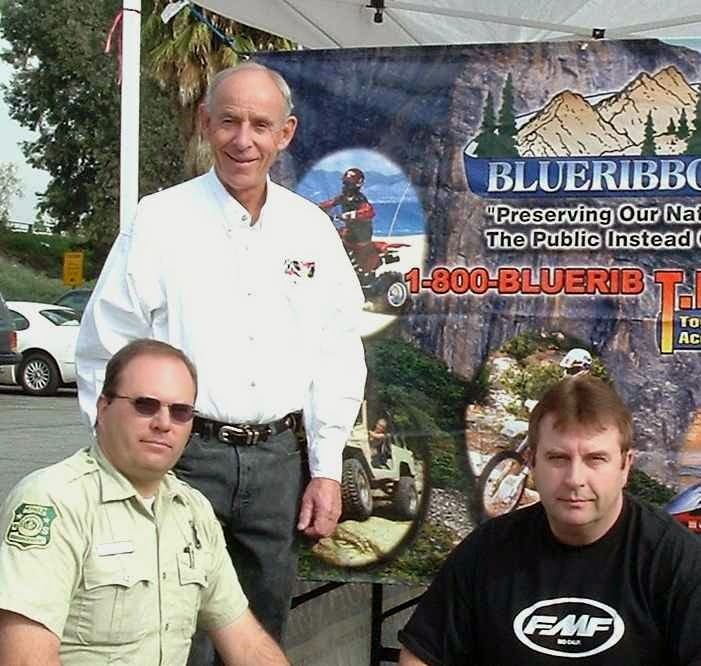 I want to give some major props to Jerry Fouts, the current president of AMA District 36, for organizing this event as a fundraiser for the BRC Legal Program to help support our collective effort to keep trails and riding areas open for OHV use. 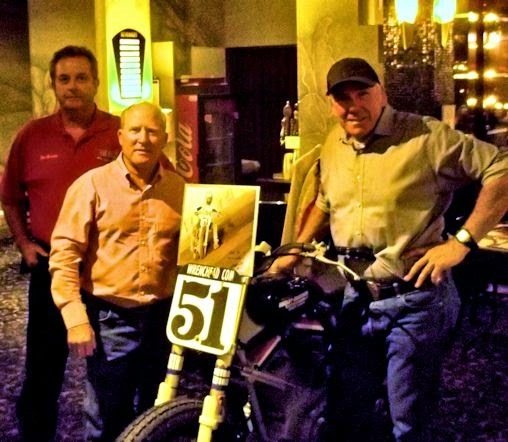 Racing legend Kenny Roberts, theatre management, Jerry Fouts, local sponsors, and I welcomed motorcycle and powersports enthusiasts to the SOLD OUT event. Little did we know just how well the broad demographics of those attending Dana Brown’s sequel to his dad’s classic masterpiece would be mirrored in the movie. 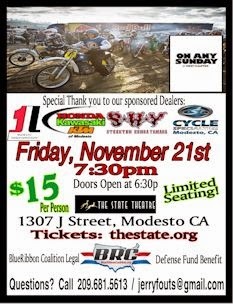 The film focused on youth riders, family fun, and a new generation of professional competitors from various disciplines. It also weaved in some inspirational stories of riders such as Doug Henry, Jake McCullough, and Ashley Fiolek. Robbie Maddison and Travis Pastrana wowed the audience with their passion for the sport and their unbelievable motorcycle stunts which often left folks speechless and/or hanging on to their seat. On an international basis, the show featured the current stars of MotoGP, medical staff using motorcycles to serve backcountry areas in Zambia, and busy commuters in Vietnam. 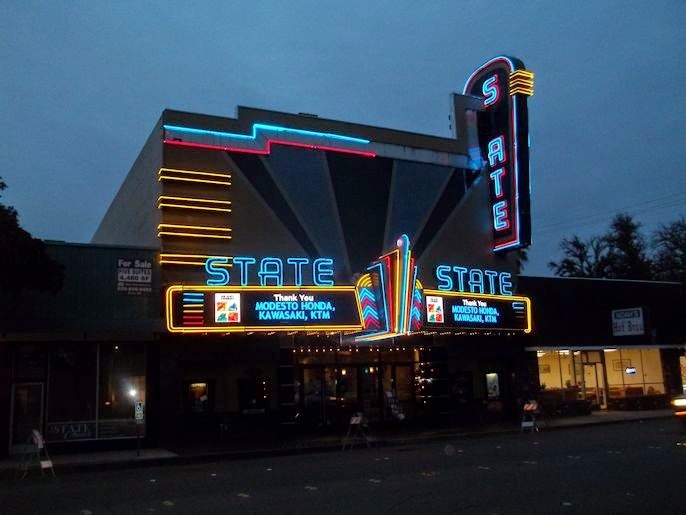 The Modesto event was partically rich because one of the On Any Sunday-era stars, Kenny Roberts, was at the theatre signing posters and visiting with the attendees. That movie was shot 43 years ago by Dana’s father, Bruce Brown. 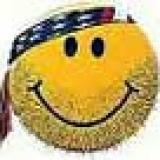 I felt the short interviews with motorcycle icons, Kenny Roberts, Mert Lawwill, and Roger DeCoster appropriately “passed the torch” to this newer generation of riders and professional athletes. 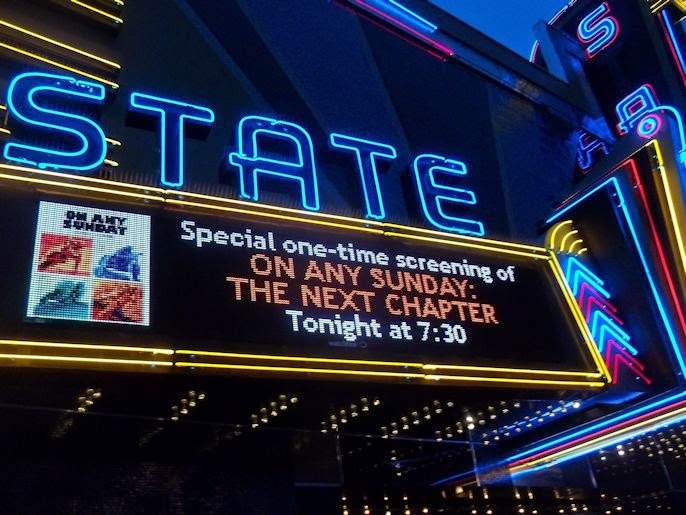 In my opinion, the most notable “update” in the film came when several riders talked about the loss of trails and riding areas over the last 40 years. This segment only lasted for about a minute, but it is historic as this is the first acknowledgment (that I know of) by a major production company that “land-use” is now an important aspect of the sport. 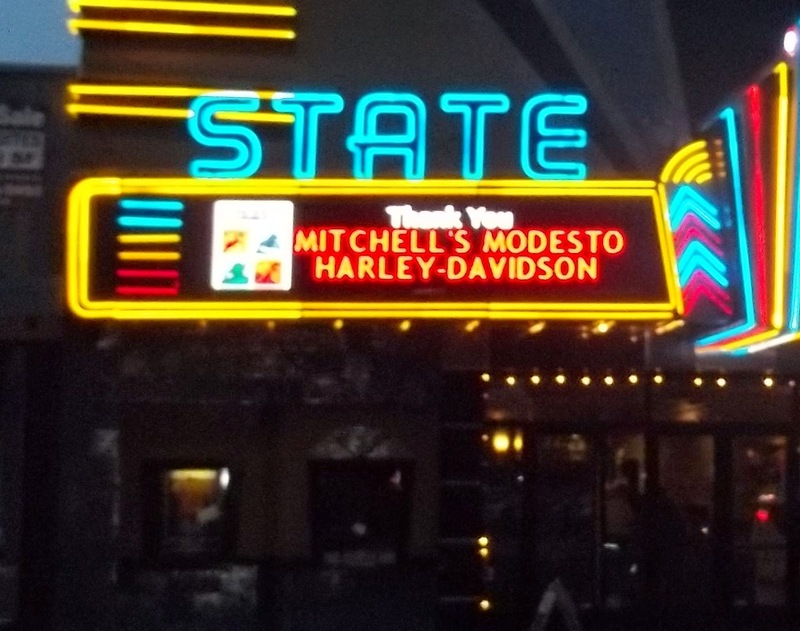 Maybe it wasn’t an accident that this showing in Modesto was to benefit the legal fight to preserve riding opportunities for current and future generations. As people streamed out of the theatre after the movie ended, I noticed a lot of smiles on young and old riders alike. For those of us who are passionate about, and hard-wired for, motorcycles, the show was a personal reaffirmation that our sport is not a choice but our destiny.